Play only if you spot a Blue character. 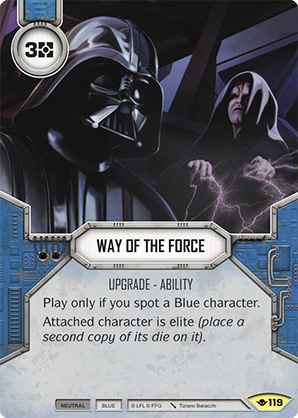 Attached character is elite (place a second copy of its die on it). Way of the Force #119.